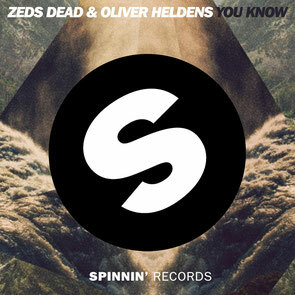 Canada’s Zeds Dead and Dutchman Oliver Heldens recently debuted the full-length stream of their collaboration, ‘You Know’, which gets released today on Spinnin' Records. This bass-focused duo and Heldens have both seen decent success in 2014. Zeds Dead saw an evolution in their sound, re-defining the harder styles of dance music, while Oliver Heldens had a big breakout year. At its core, ‘You Know’ embodies the best of future house with a trembling, groove-induced bassline, but it also features pitched-up vocals and glitchy synth trickles to give it a unique charm. All enter 2015 with a decent collaboration that should set them up for a promising year for both parties.